My teaching blog has posts about my favorite lessons and strategies, including how to deal with difficult behavior, and success stories involving English Language Learners. I also discuss my thoughts on different aspects of education, including great programs like Donors Choose. 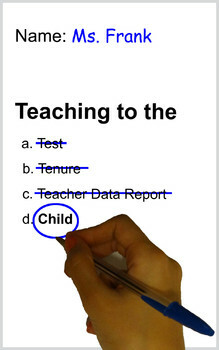 My overall philosophy is that we need to get back to focusing on teaching Children, and not teaching to the test. Hope you enjoy your visit there! If you like what I have to say, you can also check out my book (written under the pen name Ms. Frank). See the "about the book" section of the website for more details.